"Choose for Startershop today if you want your machine running again tomorrow." This is not just a slogan, but the mission statement of Startershop.nl. 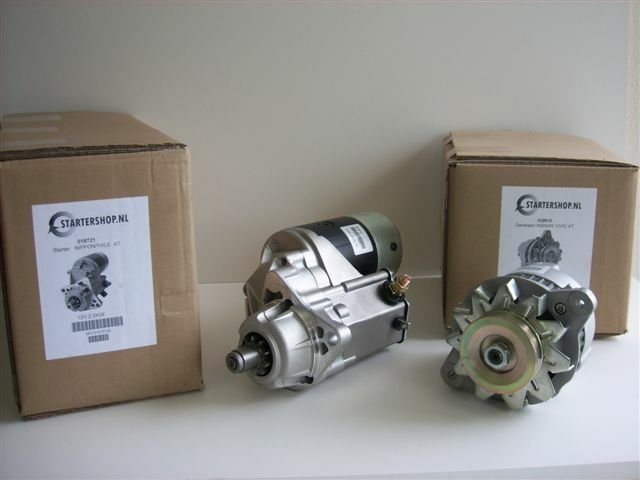 Startershop offers a modern solution for all your problems on starters and alternators for all industrial applications. In other words: short communication lines, ordering online, good inventory.Quick supplies - no concessions on quality - cost efficient. Search your product in our data base and order online. We will deliver the product within 24 hours by UPS. The most popular products are in stock in Cuijk. All other products will be shipped direct from our supplier to you. This supplier has four employees working only for breakdowns. Speed is of importance in this industry.